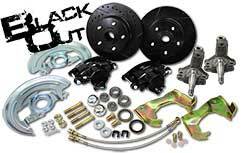 Mustang 2 IFS suspension kit fits 1955-59 Chevy & GMC 3100 Truck. 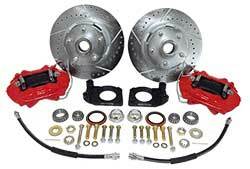 Tubular control arms and 11" disc brakes are included. Fits 73-87 Chevy and GMC Truck, Suburban, Blazer and Jimmy. 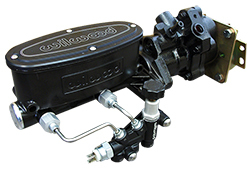 Hydro Boost with Wilwood master cylinder & proportioning valve for the best braking performance. Quality motor mount brackets are a must for V-8 conversions. 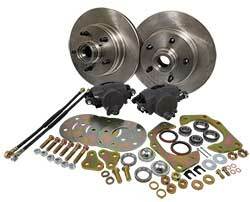 Fits 55-57 Chevy Belair, 210 & Nomad full size cars. We have paired up a Hydro Boost hydraulic brake assist with Wilwood master cylinder and prop valve for the ultimate braking experience. Fits 1970-81 Chevy Camaro and Pontiac Firebird.